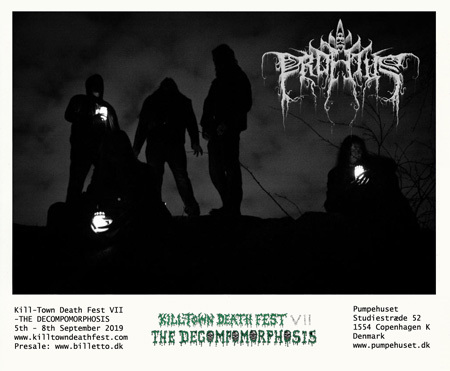 Killtown Death Fest » Announcement #17: PROFETUS debuting “The Sadness of Time Passing” entirely and exclusively at KTDF´s “Gloomy Sunday”! Announcement #17: PROFETUS debuting “The Sadness of Time Passing” entirely and exclusively at KTDF´s “Gloomy Sunday”! Today go back up to the deep forests of Finland where some of the darkest, heaviest and most miserable music was ever conceived. What we are presenting for you today is a unique opportunity to witness something special and new, never performed before. We are extremely proud and honoured to announce that the heirs of Thergothon, Finnish Funeral Doom cultists PROFETUS will return to Denmark with their new album “The Sadness of Time Passing”, delivering it entirely and exclusively at KTDF´s “Gloomy Sunday”! Feel the timelessness of grief and sink into one-hour metamorphosis of their bleak hymns, of the most visionary crafts of Funeral Doom to come. Profetus is a Funeral Doom collective from Tampere, Finland. Originated in 2006, they have created their own craft, a fine blend of 90s Finnish Funeral Doom tradition and Death Metal aesthetics; music that is bleak and crushingly heavy, utterly beautiful, cinematic and meditating. Minimalistic compositions moving at a glacial pace invoke a haunting journey to a world of obscurity. 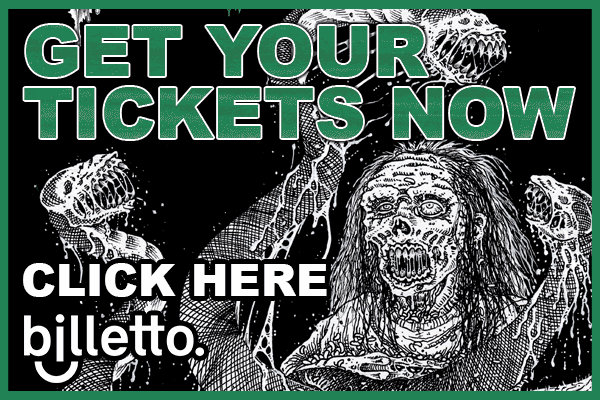 Profetus has released 4 albums this far, and played tours with like-minded bands as Bell Witch and Mournful Congregation and took part of festivals like Roadburn, Heavy days in Doomtown and Finnish Death Metal Maniacs Fest. In a live context the extreme spatial qualities of Funeral Doom offer a rare setting for personal subliminal excavations. In it’s current line-up A. Mäkinen (guitar, vocals) is joined by M. Mäkelä (baritone guitar, vocals), M. Saarikoski (guitar) V. Kujansuu (drums) and M. Nieminen (organ, synth).